RJ Young announced today it has completed the acquisition of Business Electronics (BE), a privately-owned office technology and solutions provider in Birmingham, Alabama. Founded in 1988, Business Electronics has serviced the greater Birmingham area providing products and services including: document management solutions, IT solutions, digital interactive whiteboards and displays, AV, imaging and unified communications systems. BE also offers the industry’s best in multifunction copiers and printers, while placing a strong focus on customer relationships. In order to continue supporting and servicing customer accounts, sales and service employees from BE will remain in Alabama. These employees will join the 650 employees of RJ Young to continue the high expectations of standards in sales and service. This acquisition further widens RJ Young’s footprint in Alabama and allows RJ Young to offer new technology solutions to better serve their customers. RJ Young is the largest, privately-held dealer in the Southeast and one of the largest in the nation, specializing in document management solutions, managed print services, remote support, remote monitoring, fulfillment services, and office imaging for small to enterprise level businesses. Headquartered in Nashville, Tennessee, RJ Young has been partnering with businesses since 1955 and has over 650 employees in over 30 sales and service locations across nine states. Under the corporate tagline “Your productivity is our mission,” RJ Young helps modern professionals become more successful in their businesses with solutions to securely manage paper and digital information and empowers businesses with leading printing technologies. To learn more about RJ Young, visit https://www.rjyoung.com. 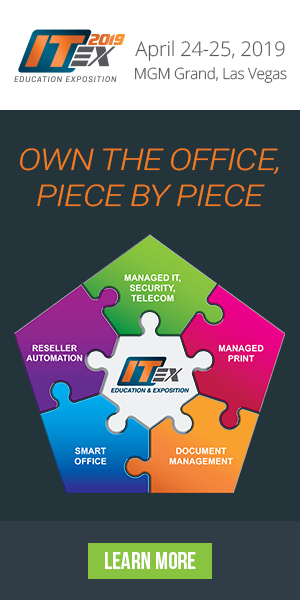 ITEX 365 is a monthly newsletter and online publication connecting vendors and Business Solutions Providers (BSPs) in the office technology industry. ITEX 365’s mission is to provide BSPs the latest news and educational content to help them build a successful and sustainable business.